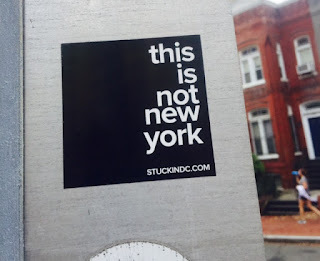 This is a funny sticker on the streets of Washington, D.C. It says, "This is not New York." And it advertises a website called StuckInDC.com. "Formed by a few friends who've probably lived in the capital long enough, but lack the wherewithal to move elsewhere." Having come from NYC, I can empathize in many ways. 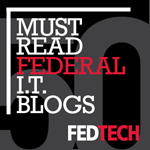 The DC metro area is great if you are interested in working in some very cool jobs for the Federal government, and it has a fairly nice lifestyle for families here (clean and green). While not as exciting as NYC (it doesn't have the vibe), it's also not as dirty, congested, or generally dangerous (in DC, there are lots of gun-totting federal agents everywhere). If you yearn for someplace nicer to live, maybe Florida for the Caribbean climate, beautiful nature, slower lifestyle, and fun atmosphere or then again, there is always the awesome Holy Land!